Wait, There Are Splatoon Dress-Up Figures? 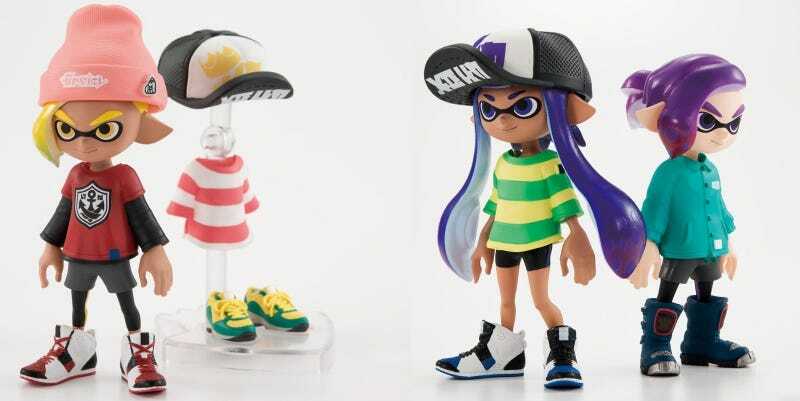 Combining the two best things about Splatoon—its character design and fashion sense—this second series of action figures let you mix and match each little guy’s shoes, shirts and hats. Which leads me to wonder, how the hell did I miss the first series? This second line is out in Japan this week, and joins the first series (which also included headphones) which was released in 2017. There are four figures in each set. Each set costs around USD$30.